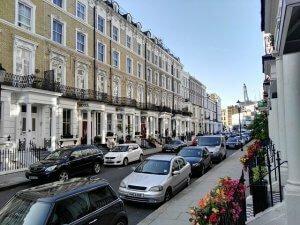 The London property market can be cruel and pricy and if you are planning a house removal in London, one of your best options is renting. According to your budget and preferences, the capital of the UK can offer ample and varied accommodations, from a rooftop flat to a beautiful house in the suburbs. Along the usual difficulties accompanying London house moving, such as organising and packing, there is also a shortage of accessible information on tenancy law. Every country has its specific laws, and England is no exception. 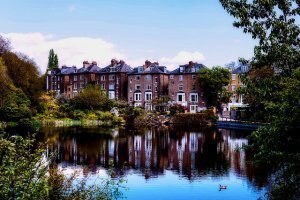 That is why we offer you a brief summary of everything you need to know when renting in London. Right to rent — You have an unconditional legal entitlement to rent in England and move house in London. You must be at least 18 years old and you need to provide your landlord with your valid ID or passport. If you are not a citizen of the UK, you must provide legal documents that prove that you are allowed to stay, live, work and/or study in England. Reference checks — Your new landlord has the right to demand a reference from your previous landlord, your employer as well as a reference from a friend in England. Some of these references can be provided in writing but it is also common to use e-mail or direct phone calls. The most important point that you need to demonstrate through the references is that you are a person of good repute, that all your previous payments were timely and that you have a permanent source of income. The references from friends or colleagues have to portray your personality in the best possible light. Credit checks — You need to be able to supply proof of earnings, so as to reassure your landlord that you are able to pay rent in a timely manner. Some landlords have strict requirements regarding the amount of money that you need to earn per month. They may mandate that their tenants earn at least three times the monthly rent. You must present a recent paycheck from the last three to six months, a letter from your employer confirming your job title, salary, and contract length, as well as their contact information. You may be asked for your tax returns from the previous year. You have presented all that is asked of you and now it is time to pack, hire a moving company, and have your big London house removal, right? Wrong. Before you do any of this, it is critical to learn your rights and responsibilities as a tenant. Invest a couple of hours in familiarising yourself with the law, browse through the official government sites, and acquaint yourself with all legal requirements. We assure you that this will be time well spent. To give you a head start and help you with your London house moving, we have made a list of basic rights and responsibilities as they apply to yourself and your landlord. Within 28 days of the commencement of your tenancy, your landlord must provide you with a rent book free of charge. In the book, you will find the landlord’s contacts, the amount of rent due each month, the date of payment, and information about all additional utility bills that you need to pay monthly. If you are not provided with a safe living environment, your landlord is subject to legal liabilities. This means that your landlord is not allowed to harass you in any way, they cannot change the locks, seize your belongings, cut your electricity off, or abuse you, either physically or verbally. Your landlord must provide you with written notice, at a minimum 28 days before terminating the tenancy. If you do not have a tenancy agreement, then after the first six months the initial tenancy becomes a periodic tenancy at law. You are responsible for paying the rent and all utility bills on time. The property must be kept presentable, clean and undamaged. All damage caused by you must be paid by you. You have to be aware of the noise you cause and to refrain from harassing or endangering your neighbours in any way. The landlord has the right to receive the rent on time, without delay. He can terminate the tenancy within the first six months, without an obligation to state the reason for their decision. They must be informed of all repairs that are undertaken in the property. You must keep your landlord informed at all times about the number of people living on the property. The landlord has the right to vary the amount of rent with 90 days’ notice. The landlord must give you their contact information, including their home address and telephone number. After the removal, they must provide you with a Statement of Tenancy Terms and an Energy Performance Certificate for the property. The landlord is responsible for maintaining the structure and the interior of the property. He can make visits only if he gives you 48 hours’ notice, except in cases of emergency. If you get frustrated with all the legal technicalities, you can always hire a rental agent to help you out. Do not forget England is an old-fashioned country with a deep reverence for tradition and it is only natural to get confused by its legal system. The most important thing is to execute your house moving in London successfully and have a clean and fresh start. We advise you to always sign a tenancy agreement and to read every document that is presented to you carefully. Do not be afraid to seek your rights and always ask if something is unclear.